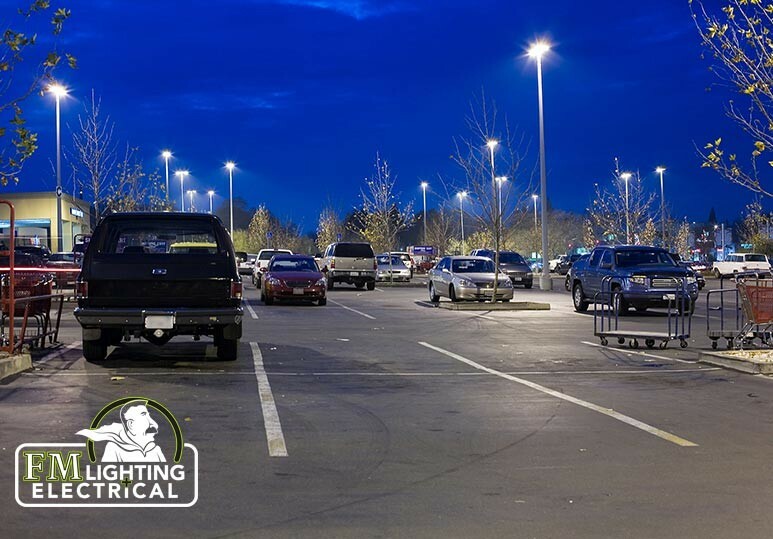 Choosing the right type of outdoor lighting for your business is crucial to saving energy costs & attracting new clients. From LED lighting to signage, this is how FML can help you get the most out of your commercial exterior lights. At FML, we understand just how important the right lighting is for your business. 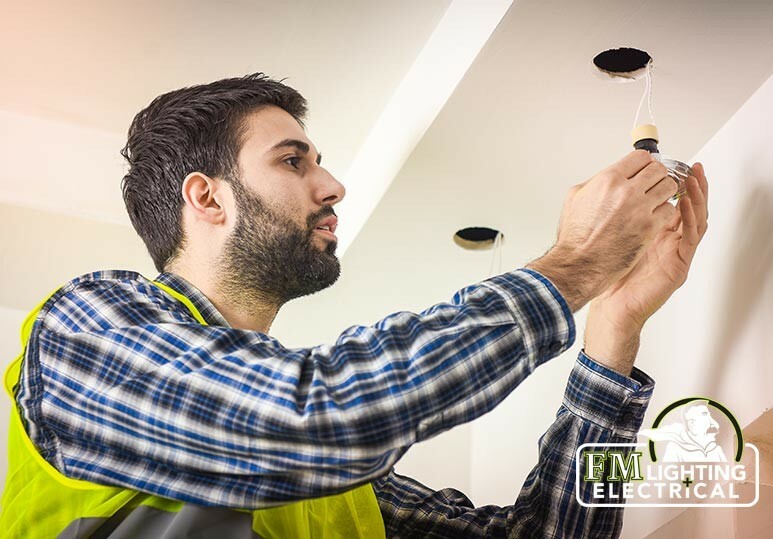 From bucket truck services to LED retrofits and lighting repairs, our professional team has the equipment and expertise to suit all your unique lighting needs. 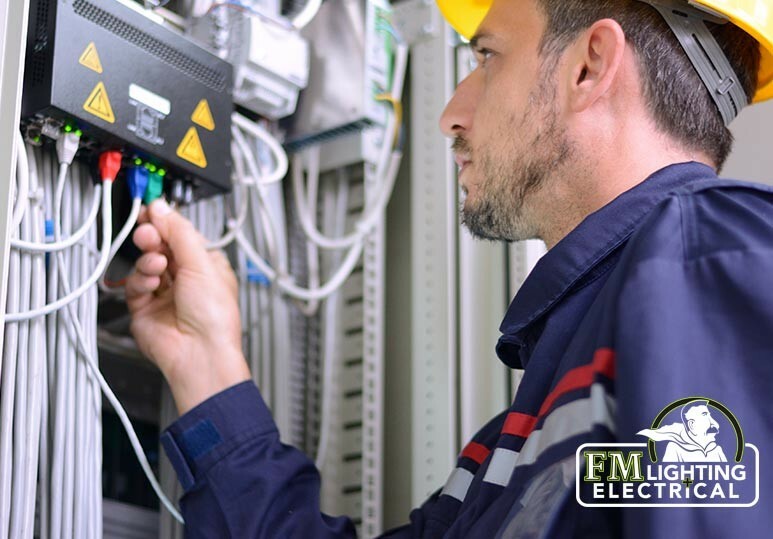 Lighting and energy costs account for a large portion of maintenance expenses and operating budgets. While CFLs have offered a great alternative to incandescent bulbs, LED lighting has now become a more popular choice. 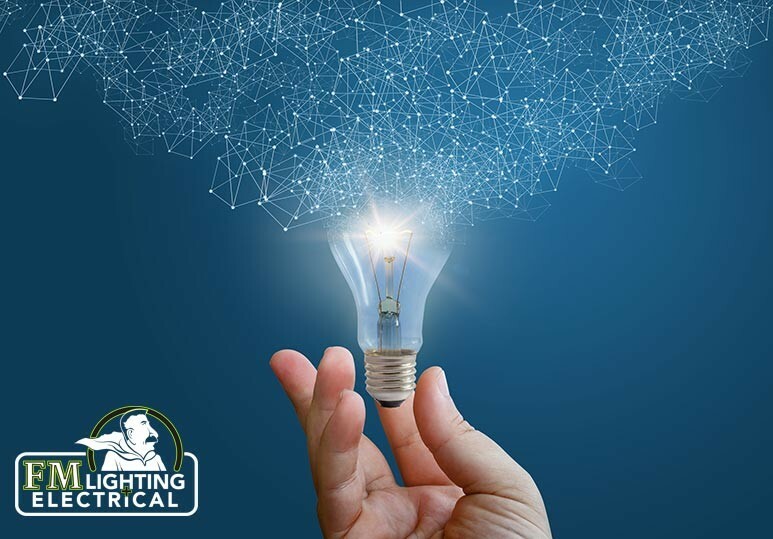 While it may come with an initial higher cost, LED lighting is a beneficial long-term investment for your company because it offers additional savings in multiple ways.  LED lighting is virtually silent when installed correctly. It also comes in cool lighting shades, making it a better and more comfortable choice for your office, warehouse, or another facility. Benefits: If you switch to LED lighting, you will see a marked improvement in employee productivity, which will help maximize payroll hours. Outdoor lighting is very important to ensure the safety and security of your property and customers and nothing beats LED lighting for this purpose. LED lights are durable and climate resistant and when you opt for them, you can rest assured that your exterior lights will always function as good as new, even in the most frigid outdoor temperatures. LED lighting is becoming increasingly popular due to their energy-saving qualities. While they may cost more upfront than an incandescent bulb, they require 80% less energy to operate AND emit the same amount of light. Benefits: The initial cost will pay off in the first few utility bills and you’ll continue to save your bottom line over the years. Benefits: Many LED lighting products are dimmable, making them an excellent choice for decorative lighting and industrial applications alike. Do you want to upgrade your existing office lighting? To find out more about our commercial and residential LED retrofit services, and other lighting maintenance, repair, and installation services, contact our Calgary office at 403-863-8529 or fill in our online contact form.